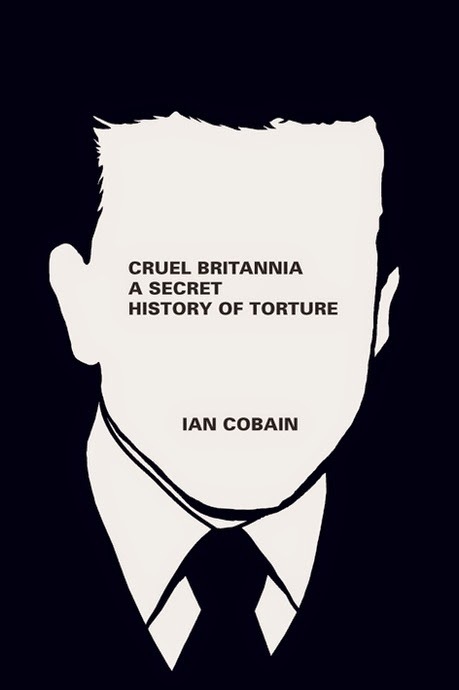 Cruel Britannia: A Secret History of Torture. Ian Cobain. Portobello Books, London. 2012. Since the tragedy of 9/11, there has been much in the news about the war on terror, and the questionable interrogation methods used by the United States of America. While many point fingers at the United States, Great Britain has also participated in interrogations during which prisoners were tortured. What is less well known, is that many of the physical and psychological torture techniques used by the British were developed at two British interrogation centres during World War II: the London Cage and Camp 020. The London Cage seems to have leaned more towards physical torture, whereas Camp 020 used psychological torture. During World War II, Lt. Col. Alexander Scotland commanded the London Cage, an interrogation centre for German prisoners of war. Thousands of prisoners passed through the doors of the Cage, located in Kensington Gardens, behind the doors of three Victorian mansions. Most were deprived of sleep and forced to assume stress positions for days at a time. Some were beaten. Some died and were secretly buried. The doctor in question was Dr. Harold Dearden, a medical doctor and psychologist. He dreamed up regimes of starvation and sensory & sleep deprivation that were designed to break the will of even the most stubborn Camp 020 detainee. Many of the techniques used by Scotland at the London Cage were contraventions of the Geneva Conventions (forcing prisoners to stand at attention for more than 24 hours at a time, forcing them to kneel while they were beaten about the head). (Cobain 32) While Camp 020 apparently stayed away from such physical tortures, it too contravened the Geneva Convention by threatening to have men shot for failing to disclose information. Eventually all British subjects at Camp 020 were moved elsewhere and the camp was devoted to the interrogation of foreign espionage suspects. Stephens claimed physical violence was never used at Camp 020 because it produced information of dubious quality. Some scholars question that assertion and point to the track record Stephens developed at his next posting. When the war ended, Stephens was appointed Commandant of Bad Nenndorf, a British interrogation centre in Germany. As the months progressed, there was no doubt that prisoners at Bad Nenndorf were starved, beaten and deprived of heat and clothing. They were told that their wives and children would be murdered. Such threats were apparently considered quite "proper" by the British officers in charge of the camp. Sick inmates were dropped off at the local hospital where they were found to be: filthy, confused, emaciated, terrified and suffering from frostbite and multiple injuries. An investigation was eventually conducted against Stephens and some of his fellow officers who were brought before a court martial. Stephens claimed he had no idea what was going on at Bad Nenndorf as he was busy writing the history of Camp 020. In private, his lawyer threatened to spill the beans and say that if cruelties did take place, they were of the sort used at Camp 020 and authorized by the government and the head of MI5. In the end, Stephens was a acquitted. The modern British interrogator makes a distinction between "torture" (severe pain as accompanying a serious physical injury) and "inhuman and degrading treatment (not torture). In their view, the simple infliction of pain and suffering, whether it is physical or mental, is not torture (Cobain, 231). Cobain admitted that he didn't want to see what his government was doing. He admitted that when things look desperate, England resorts to torture (Cobain, 308). A most fascinating book, well-researched and timely. Everyone who doubts that the "upstanding" British could stoop so low, should read this book. It was disturbing to learn of the fragility of the human psyche.